Just in with a new group from Italy and France, this 4-way stretch yarn-dyed novelty knit is lightweight and opaque with some body in the drape, and about 80% widthwise and lengthwise stretch. 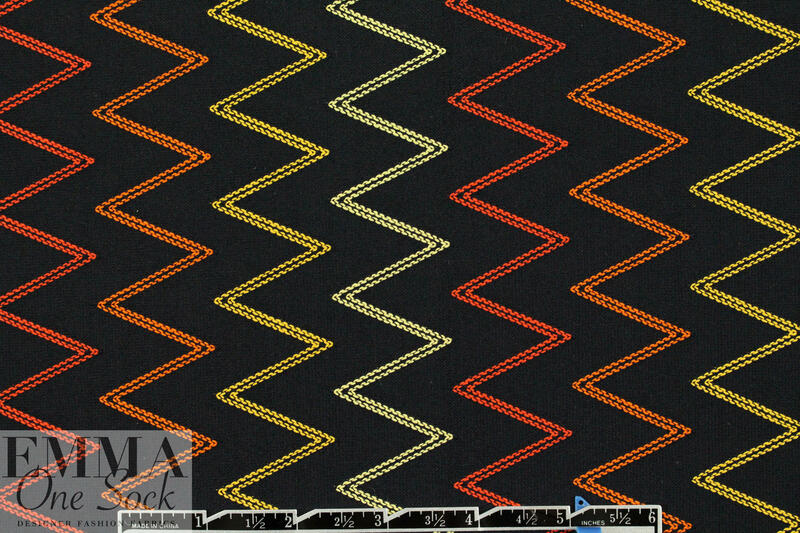 The pretty chevron stripe design is knitted in (not a print, and it has a 5.375 horizontal repeat), and the colors are lemon chiffon, gold tangerine and spicy orange on a black background (PANTONE 12-0720, 13-0935, 16-1343, 17-1464). 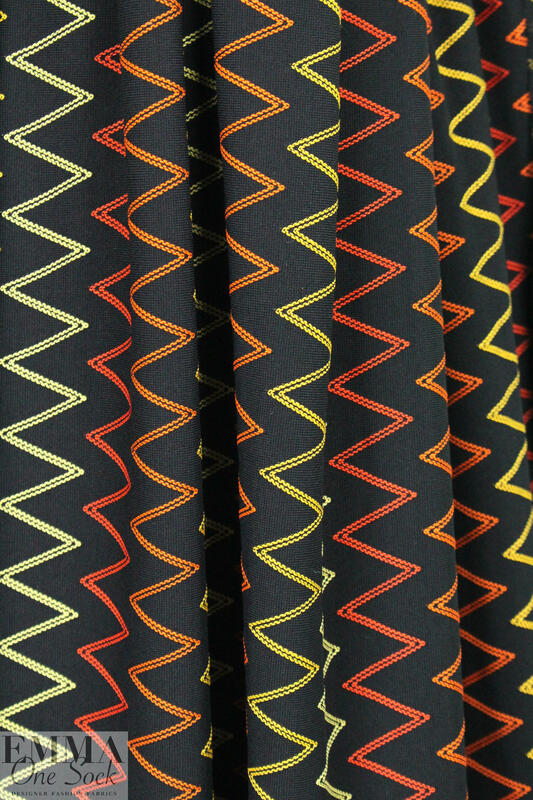 The fabric can be cut either with the grain or across the grain (or a mix! 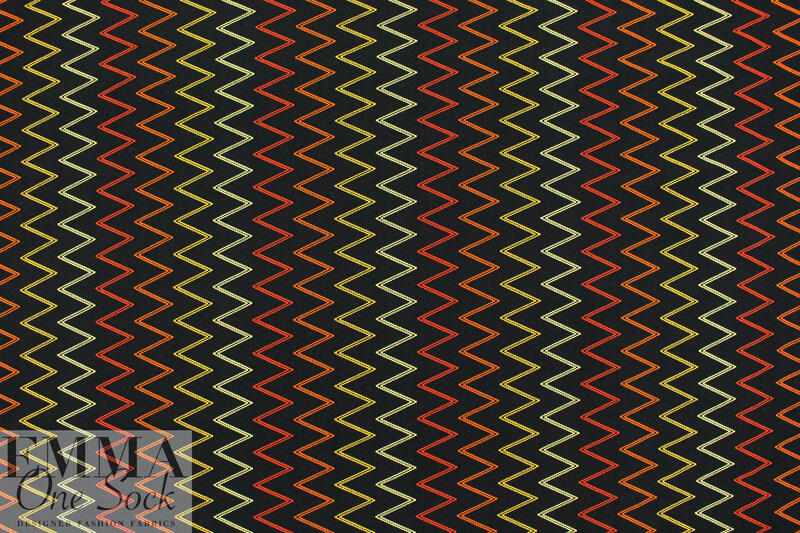 ), and the zig zags have a texture that mimics embroidery. 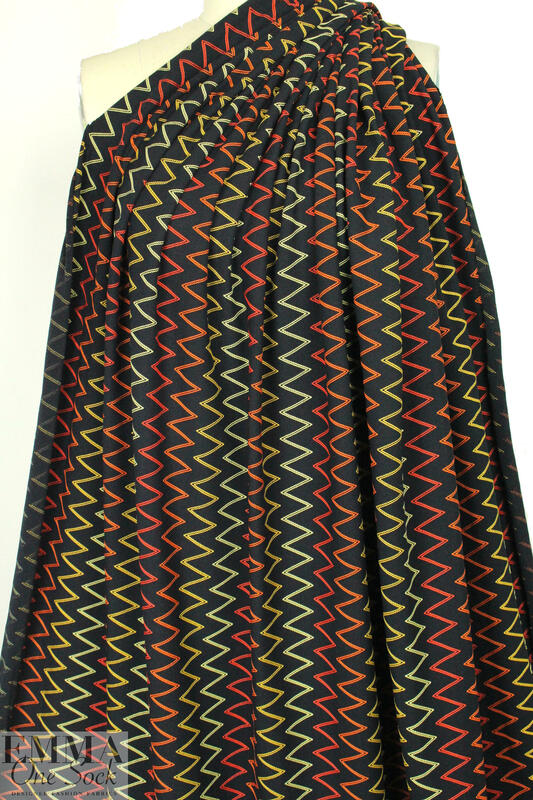 Great for tees, tops, tunics, cruisewear, leggings, etc. Test first: hand or machine wash, gentle, hang to dry. 1.66 yds.